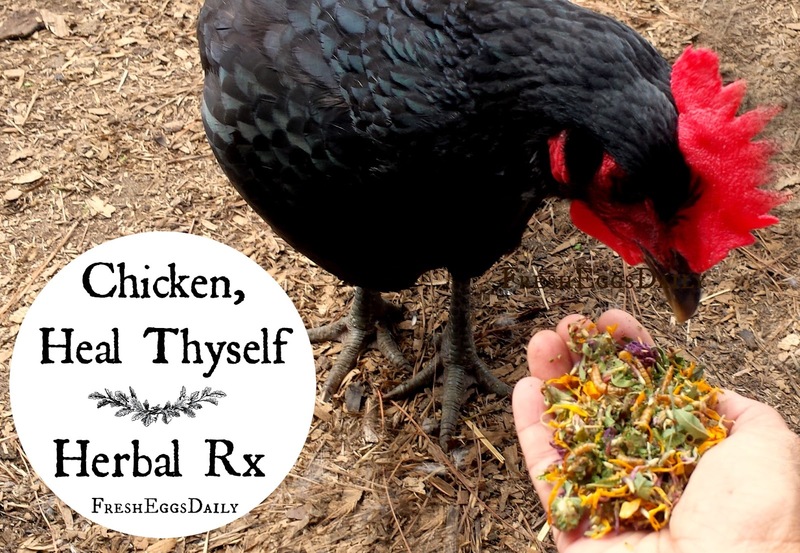 Herbal Rx: Chicken, Heal Thyself! One of the biggest stumbling blocks I run into trying to encourage others to raise their flocks naturally, without chemicals or antibiotics, is being asked Where's the proof? Where are the scientific studies? Sadly, big pharma isn't shoveling research dollars into studying herbal remedies, especially those relating to chickens, nor is the commercial chicken farming industry, for the most part. Still though, much of the herbal care for both humans and animals has to be taken on faith. So how do I know holistic care for chickens works? Well, because I've been practicing it for years on my own flock. Would I use antibiotics if I had to on a sick hen? Of course I would, but fortunately by adding enough natural supplements and preventives to my flock's diet, I have never had to make that decision. I work hard to build my chickens' immune systems and as a result they have the tools and means to stay healthy and fight anything they encounter themselves, from the inside. The way it was meant to be. To loosely quote from Luke 4:23 "Chicken, Heal Thyself". 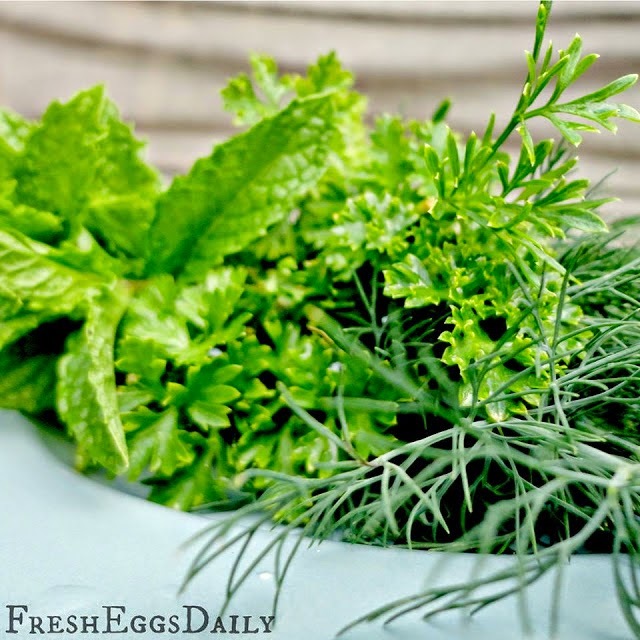 The use of herbs has been around since Biblical times and you can bet the chickens living in the manger or in Mary and Joseph's backyard were out munching on nutritious sage, marjoram, lavender and all the other yummy Mediterranean herbs! If herbal remedies didn't work, I daresay the human race, as well as all the animal species, would not have survived this long. After all, 'modern' medicine has only been around for the last century or so. But bottom line, my 'proof' comes from seeing first hand how healthy and beautiful my chickens are. They are great layers and they are never sick. Ever. I don't feed our newly hatched baby chicks medicated feed or vaccinate them and I have never lost one. Ever. So I'm a believer. If you don't believe me, take a look at my Facebook page and Instagram feed. Those are all photos of my own chickens. Raised naturally. The oldest is nearly nine years old and has never been given any medication or antibiotics of any kind, despite having been victim of a fox attack several years ago. She recovered just fine and still lays the occasional egg for me. If you want to read more, there are so many articles I've written based on my own personal experience, what I do and what works for me. I hope you have an open mind and will go the natural route because it's healthier for your chickens ... and for your family.